Millennials, or those ages 18 to 34, have quickly become the single largest demographic in the American labor force so it’s no surprise that many companies are employing them in droves. 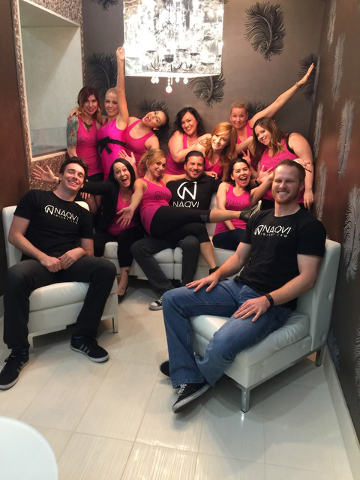 COURTESY Farhan Naqvi, founder of Naqvi Injury Law, said nearly all of the 20 employees at his Las Vegas firm are millennials. 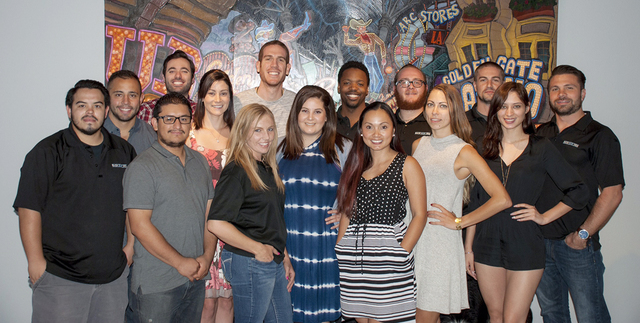 COURTESY Nearly all of Wicked Creative's 15 employees are millennials. 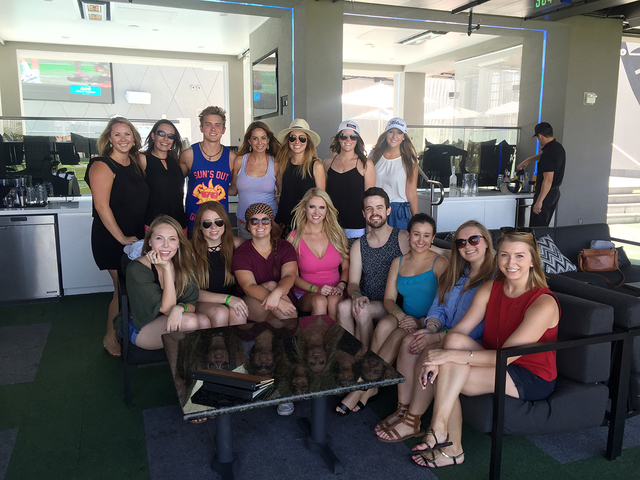 The company hosts social events, such as this one at Top Golf. COURTESY Marketing agency, Backbar USA, reports half of his nearly 30 full-time employees are millennials and 99 percent of its 300 part-time employees are as well. Millennials, or those ages 18 to 34, have quickly become the single largest demographic in the American labor force, so it’s no surprise that many companies are employing them in droves. Stephanie Wilson, president of Wicked Creative, said of the 15 employees at the Las Vegas-based public relations firm, she is the only one who is not classified as a millennial. While Wilson said there’s no substitute for professional experience, in public relations, millennial employees thrive because they have a unique way of seeing things. At Wicked Creative, Wilson said the company hosts regular events to bring its employees together. Farhan Naqvi, founder of Naqvi Injury Law, said nearly all of the 20 employees at his Las Vegas firm are millennials. Naqvi added that many of his employees socialize outside of the office and even go on vacation together. Naqvi Injury Law communicates through phone apps after hours, Naqvi said, and having a large millennial employee base has helped the firm better serve its clients. Like Wicked Creative, Naqvi Injury Law hosts employee events such as Friday lunches and annual holiday parties at locations such as Palm Springs, Puerto Vallarta and Big Bear Lake. Jenae Page, Naqvi’s legal assistant, said millennials want their work to be an extension of their family. Brian Chapin, managing director of Motley Brews, a company that hosts festivals throughout Las Vegas and Southern California to celebrate craft beer and culture, said though only half of the company’s eight full-time and part-time employees are millennials, no one is over the age of 40. Chapin added that millennials are able to not only carry out the job functions at Motley Brews but are excited to host the company’s events. Tim Haughinberry, who launched the marketing agency Backbar USA, in 2011 to oversee beverage companies at casinos throughout Las Vegas as well as launch beverage brands in the Silver State, said half of his nearly 30 full-time employees are millennials and 99 percent of his 300 part-time employees are as well. Millennials are who beverage companies target, Haughinberry said, so he strategically brought them into his company. “Big brands target millennials so I wanted to fill my company with them because they’ll get it more than I will,” he said. Since Back Bar USA is geared toward social events, Haughinberry said every Friday the company has a happy hour and a different employee is the bartender each week and is in charge of deciding on what drink will be served. Haughinberry added that many of his employees hang out together outside of business hours.